The mission of the Office of Career Preparation and Professional Development is to provide career education through programs, events and services that empower students and alumni to attain their professional goals. Career education fosters the identification, development and articulation of career competencies that ensure a successful transition from college to career. Collaboration with faculty, staff, alumni and employers promotes opportunities for career exploration and experiential learning, which facilitates the development of lifelong career management strategies. 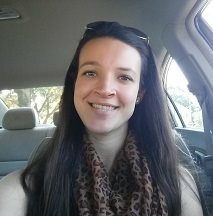 "I met with [the career services office] a number of times regarding my journey to graduate school for occupational therapy. [Counselor Kevin Gill] sat with me and prepared me for my interview with Stony Brook (which ultimately got me the spot in the program). I am very grateful for all of the help, support and encouragement."